I spent Sunday continuing the suspension installation on the 1972 LeMans, with just the left rear corner left to do. I went into this task thinking that this shouldn’t take very long at all but knowing I would be lucky to finish on this rainy Sunday. I did manage to get all of the parts on to the car this day, but only barely. Why does such a seemingly simple task take so long to accomplish? Because the nuts and bolts that need to come off of the car are difficult to access and it takes trial and error to determine what combination of wrenches will succeed. It also requires contorting one’s arms in ways men in their 40s are typically not adept, while laying on one’s back. 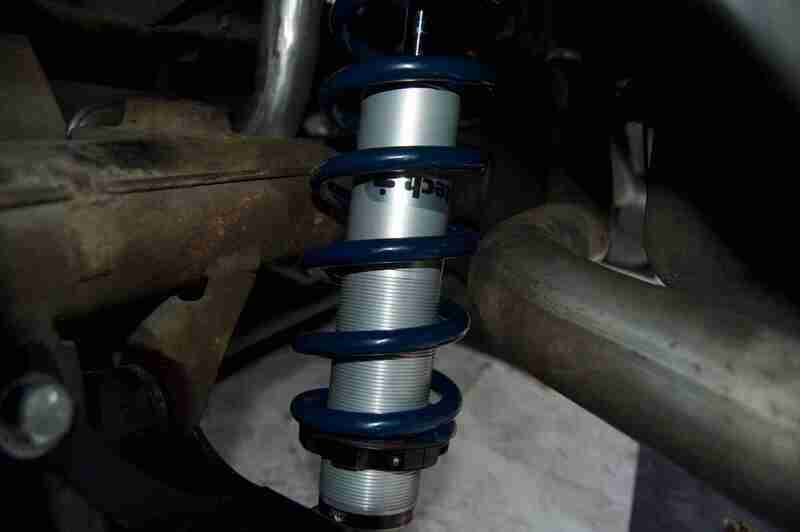 Eventually everything came together – the shock mounts bolted on, I attached the shock, the lower control arm went into place, the upper control arm replaced the rusty original and the sway bar was coaxed between the lower control arms. There were some hitches. The lower shock bolt was damaged when being shoved into place, so I’ll need to get a replacement at the hardware store. 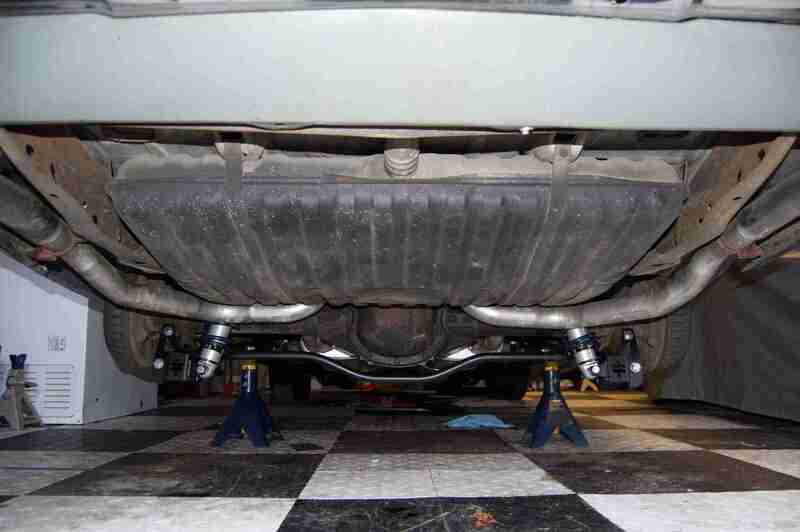 The biggest issue is that the exhaust touches the coil over spring. I played with the exhaust hangers to see if I could provide some clearance, to no avail. I will fix this issue. I have no idea how, but I always fix these types of things. The exhaust needs to move toward the back of the car a bit. This is where the exhaust meets the spring.